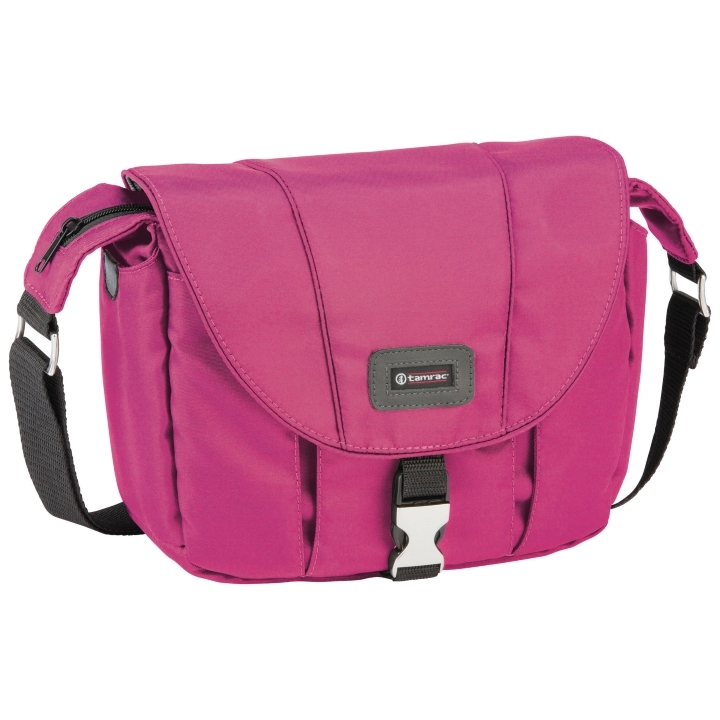 The berry 5422 Aria 2 Shoulder Bag from Tamrac is a simple, handbag-style bag for anyone who owns a small compact camera system. 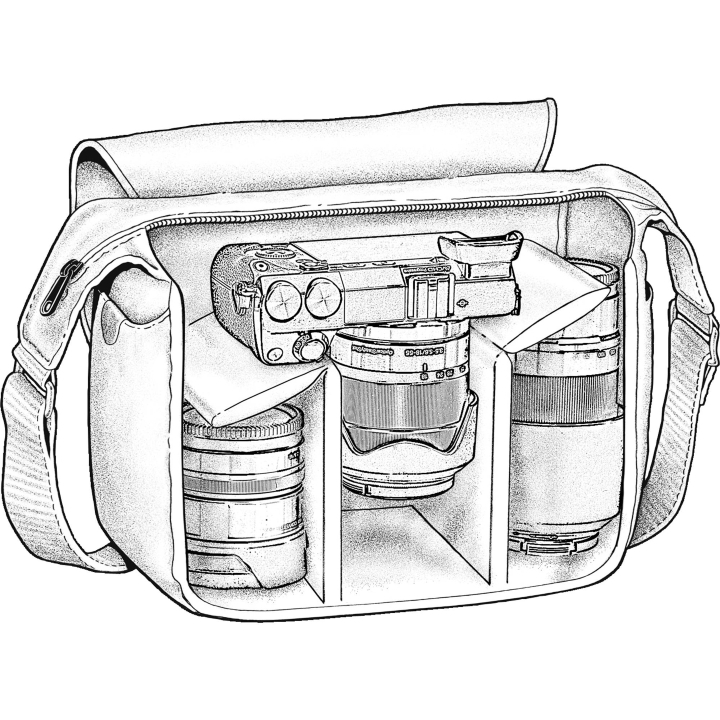 It comfortably holds a mirrorless camera with lens attached, two spare lenses or a flash and lens, as well as a few more accessories throughout the bag. It is made from a durable, water-resistant nylon and accented with a shiny silver lining that helps you locate your gear in low light conditions. Dual padded dividers can be configured to arrange your gear in separate spaces that prevent them from rolling around or bumping together, marring their finish. The long front flap comes with a metal buckle for added strength and security. Once the buckle is undone, the zippered main pocket is spacious and pleated for expandability in order to hold extras, such as your keys and a small wallet. Its zipper also extends out the sides and toward the strap for unobstructed access to the main pouch. Each side of the bag has a slim pocket great for smartphones or mp3 players, and the rear exterior features a larger slash pocket that will hold a camera manual, maps or documents. The entire bag is carried by an adjustable shoulder strap for maximum comfort.